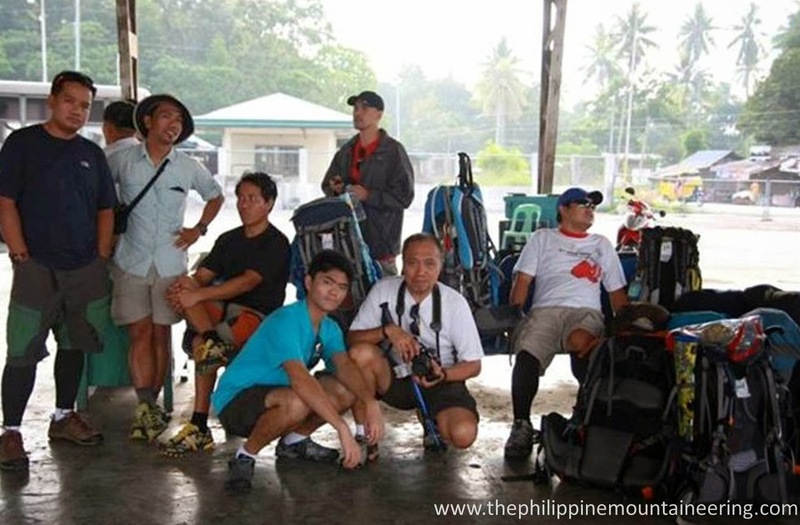 Aside from pre-climb or pre-trip meeting, travelling to jump-off is also considered vital. This travel could affect the entire climb or trip itinerary and purpose. You will definitely agree that all of us experienced minor and major problems while going to the jump-off area of our destination. 1. Pack the essentials. 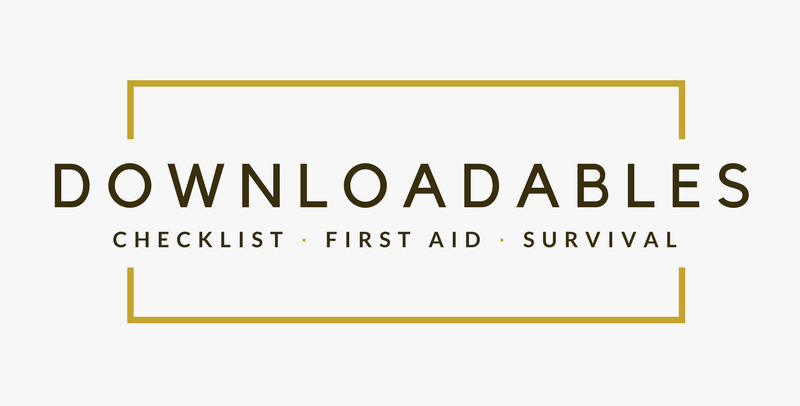 An hour before you leave your house, take a quick look to your Individual Checklist and identify all essentials, this will make your load friendly to you. Checking your checklist will ensure that you will be ready to any possible circumstance. 2. “Into the Heart” Principle. GOD ordained us to be part of a family; these are individuals who are sometimes against our interest and desire of pursuing our outdoor enthusiasm. One of the common mistakes of some mountaineers is to leave vital information of our climb. Let us not be Mr. Christopher McCandless (February 12, 1968 – August 1992) of the true to life movie "Into the Wild" (2007) who chose to have new identity as "Alexander Supertramp" and did not leave any information of his trip. Let us be reminded that we have pool of individual loves us despite of being unlovable in many instances. We suggest giving a photocopy of Pre-climb Information Form of the group to your family or friends for them to know also the participants. 3. Check your financial standing. Most of our destinations are considered within second or third class municipalities wherein the availability of numerous Automated Teller Machine or ATM sometimes is not accessible. As an advice, before leaving your house, check your available cash; be sure that you will bring more than enough for the entire climb or trip. Bringing your Credit Card or Debit Card (could be your ATM card) is still an option, but this should be in purchasing in big grocery, mall or restaurant so that your cash availability will not be affected. We are also suggesting breaking your bills into smaller. 4. Don't be a victim. The old notion that mountaineering is a "cost-effective hobby" is a potential for every mountaineer to be a good target of street or petty crimes. Secure all your gadgets and also your wallet away from the eyes of others. Having a purse, neck wallet or small bag that might contain the needed amount enough to bring you to the Jump-off is a good option to consider. 5. Be at the terminal early. Most of our climb itineraries were products of work leave or scheduled months before the climb proper; with this we advise to be at the bus terminal at least half an hour before the travel schedule, more than an hour for domestic flights and more than two hours for international. Delayed or cancellation of our travel due to not being time sensitive means being bad managers of our time and resources. 6. Check the public transportation schedules. Using public transportation is one of the cheapest possible options for mountaineers. Checking the schedules before leaving any transportation terminal is a good measure not to end up cramming and going back to your residence. If you really can identify reasonably the estimated time of the end of the climb or trip, making reservation will be a good option. 7. That's mine. The problem of identifying ones' backpack is not an issue for private vehicle users, but for the public transportation users this is a problem to prevent. 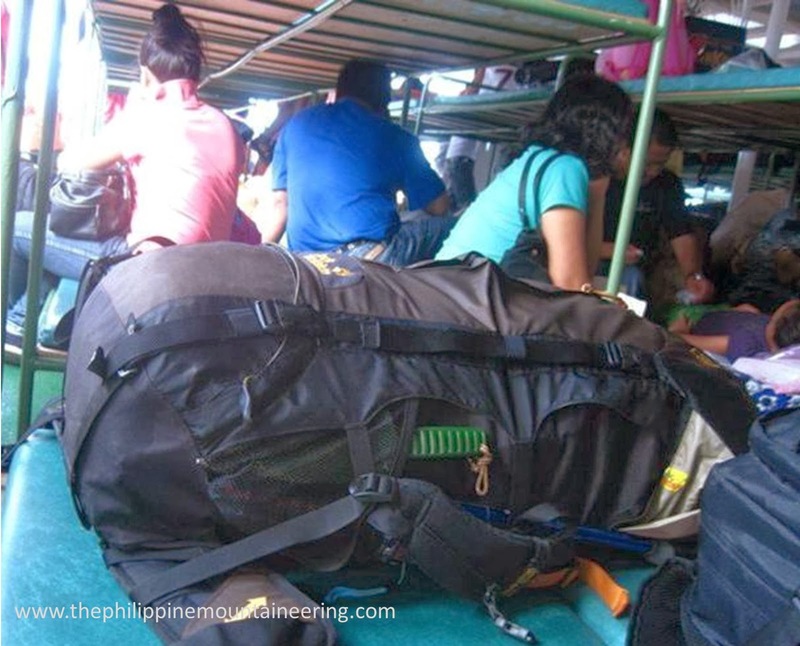 Identifying our backpacks or any stuff can cause problem to us. Let your stuffs be easily identified as yours by putting personal identifiers like bag tag, ribbon, color-coded handkerchief or any means that might keep your backpacks as yours. 8. Be one. If you are travelling as a group consider to as one body by being intact while in the terminal and also within the vehicle. Being one while in the terminal will keep your team members not to experience someone who will be missed or lessen then possibility of any stuffs to be away from your presence. If possible, as the group arrange for the seats choose to be at one area only, this will keep your team members visible to each other. 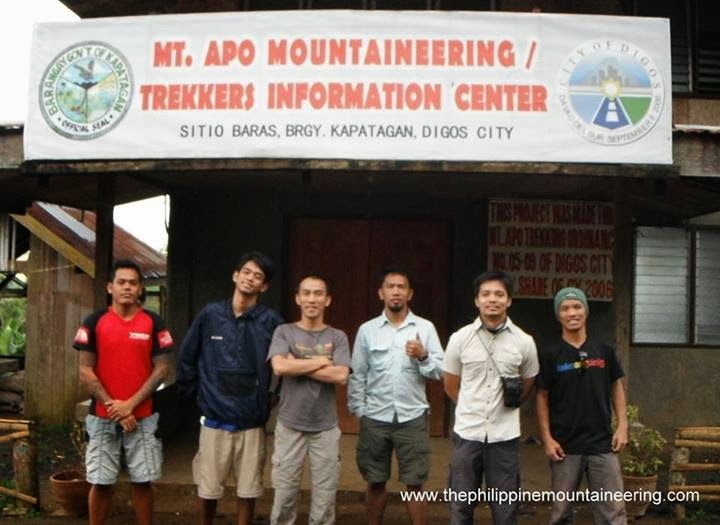 Organizing the group will give you more time to mingle and have quality time to each other and bond you not only as climb buddies or friends but us family. 9. Assign the Judas. The Bible recorded that Judas Iscariot served as the disbursing officers of the ministry of LORD Jesus Christ (John12:6). This idea is also a good practice for us to consider. To lessen individual payment or disbursement we advise to give needed amount for at least one way. In some organizations, the treasurer of the group serves as the disbursing officer. 10. Check the weather. Checking weather forecasts today is now available today even with our mobile phones, therefore being uninformed of unfavourable weather should not be happen. Before pursuing the climb or trip schedule visit the website of PAGASA or check the weather forecast by listening to radio or watching the television. As golden rule with regards to individual sensitivity, if there is at least signal number one as you reach the jump-off we suggest to hold-off until the storm signal is out. The ten fundamental things to do before and while travelling to jump-off area must be marked by every mountaineer for safe and enjoyable mountaineering experience.